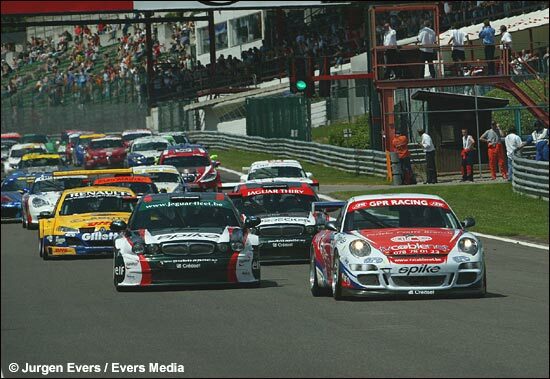 Only a few weeks after the Spa 12 hours, the BTCS contenders were back at Spa for the sixth and seventh rounds of the BTCS championship. This fourth weekend of the year contained two one-hour sprints on Saturday, only a few hours before the start of the longest race on earth: the 25 hours Fun Cup (16.00 Saturday). With two different teams winning the races, the first ever victory of a Porsche 997 in the BTCS and close racing throughout both heats, this was a good BTCS weekend. Pole for both races went to Bouvy and Vosse in the still controversial Renault Mégane Trophy entry. 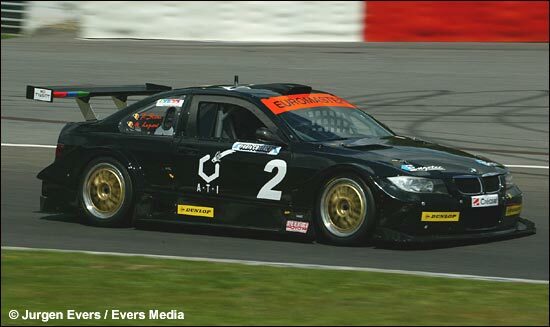 “The car was allowed in the Cup-configuration and could so run with a 3.5 litre engine, whereas all the other silhouettes run 3.2 litre engines,” complained Patrick Slaus, the championship leader (in his BMW), after qualifying. British driver Robbie Kerr raced a First Motorsport Porsche 996 this weekend and finished 10th in the opening race and 11th in the second: “Indeed, my Canadian team mate Sean McIntosh (right) and I (both running for KTR in Formula Renault 3.5) wanted to gather some experience here at Spa before the Formula Renault 3.5 races during the Spa 24 hours weekend. It was great fun and without the little problem with the fuel pressure in the second race, a podium in GT would have been possible,” said the man from Hinckley (Leicestershire). The second race saw an epic battle between Marc Duez and Patrick Slaus. The very experienced endurance racers drove as if it was a Cup race and when they came in for driver changes, only half a second separated the Porsche and the BMW. 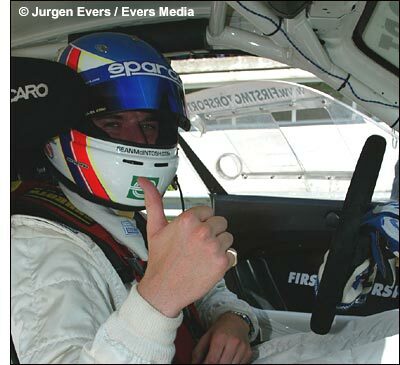 A problem with the door of the BMW brought an end to the battle and Jean-Pierre Van de Wauwer drove safely home for the first Porsche victory of the year. 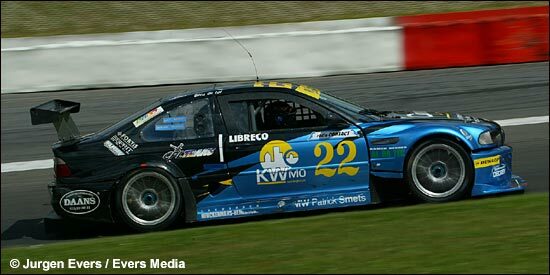 Lupant finished second in the black BMW and Vosse / Bouvy were third. Steve Vanbellingen and Armand Fumal, who won three out of four of the opening races, lost all championship hopes when oil pump belt broke in race one. “As this may have effected the engine, we will not start in race two,” explained a very disappointed Vanbellingen. Disappointments also in the Jaguar clan with a double retirement in race two. Lupant and Slaus are still leading the championship, with the Renault and the Porsche right behind them.